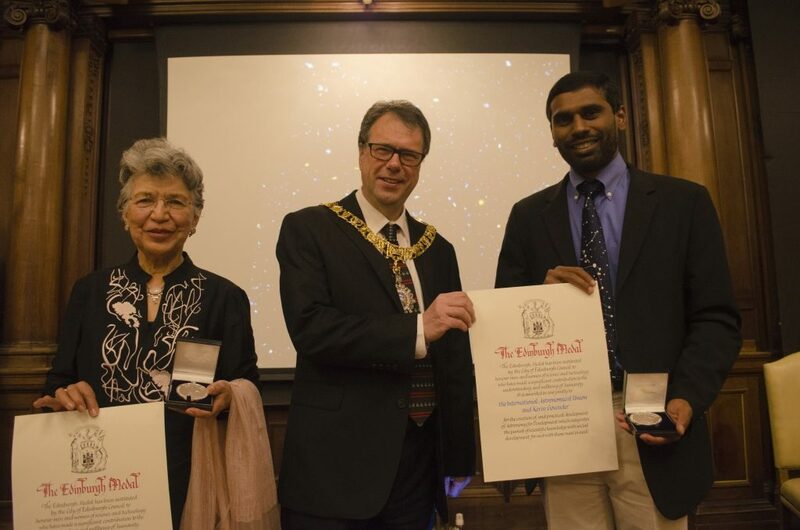 The 2016 Edinburgh Medal was jointly awarded to Kevin Govender from IAU Office of Astronomy for Development and the International Astronomical Union at the 2016 Edinburgh International Science Festival, to recognise their wide-reaching contribution to science. It was awarded for the creation and practical establishment of the Office of Astronomy for Development, which integrates the pursuit of scientific knowledge with social development for and with those most in need. Past winners of the Edinburgh Medal include stalwarts such as Professor Abdus Salam, Professor Jane Goodall, Sir David Attenborough, and Professor Peter Higgs and CERN. Wanda Diaz-Merced from the OAD recognized as a trail-blazing woman in science. She joins a list of amazing scientists on the list – Marie Curie, astronauts Peggy Whitson and Soyeon Yi, Quarraisha Abdool Karim and others. BBC’s 100 Women focuses on women in news, sharing their stories which are often overlooked. OAD post-doctoral researcher, Dr Wanda Diaz, was invited to the White House Frontiers Conference hosted by US President Obama in Pittsburg, USA. Co-hosted with the University of Pittsburgh and Carnegie Mellon University, the conference explored the future of innovation in the US and around the world. Wanda’s speech on “Making Space Exploration Accessible to All” talked about the need for inclusiveness in Science, including high tech areas such as space exploration and Astronomy. On 23 February 2016, the National Assembly (of South Africa) agreed to a motion noting that Kevin Govender and the International Astronomical Union (IAU) will be awarded the 2016 Edinburgh Medal. The Assembly recognised that under his pioneering stewardship, the OAD, hosted in South Africa in partnership with the National Research Foundation, has successfully harnessed astronomy in the service of education and capacity building.